It is an expression of the Spirit – the yearning for union with the other. It’s the sense of being in love. It’s more than sexual attraction, it’s an attraction to the other. It should be one’s need of stimulation of mind as well as of flesh. Eros is the only of the four that is intimate and exclusive. Lovers don’t like to share with a third party and are absorbed in one another. It is a taking kind of love, it wants to obtain pleasure from its object. One does not need to like or esteem the other to feel the eros love (although often one does), but one seeks what the other person has to give. At the same time the difference between eros and desire – sexual or other – is that only the one person can fulfill the need. It is friendship. It’s what makes our interactions enjoyable. It’s narrower than companionship, although it’s often based on it, yet broader than eros, since friends can admit more than one person to their circle. Friends often think alike and have similar interests. They also wish the other person well, respect and esteem them. Friendship is less selfish, based on mutual giving and taking. It is familial love, with its external manifestation. It’s the kind of affection we have for members of our family. We don’t need to be of one mind with our parents, grandparents or children, but being loved by them gives us pleasure and a feeling of warmness. Storge is the kind of love that is expressed in a hug, a kiss, or another sign of closeness, tenderness or confidence in the other person. It’s also a consequence of familiarity. The closer we are to the other the more we love them. It is the most perfect and selfless love, taught to people by God. It is love of humankind, of our neighbour, as well as of those who are close to us. Thanks to this love we are able to forgive, be charitable, and set aside our own needs. One can love (agape) even one’s enemy, like when one doesn’t wish the other ill even when one hates them. In marriage this kind of love is of highest import both to balance the three other and to create a union that will survive all storms and miseries. Eros is necessary in marriage so that a couple could become one flesh, fill in their respective needs, and continuously stimulate one another. Phileo is needed so that the couple could respect, esteem, and enjoy each other’s company, and storge is for their love to nourish and grow in the warmth of mutual affection. Agape allows the couple to withstand quarrels, give oneself to the other selflessly, take care of the other person in sickness and misfortune. If you recall the expectations of Regency people in reference to the ideal of companionate marriage they strictly answer the four elements. For example a wife should be attractive, educated, kind and affectionate, principled and dutiful. Elizabeth is in love from the outset because she shows all signs of the eros love towards Darcy. She is continuously curious of him, stimulated and provoked. She cannot stop herself from looking at him, listening to his conversations, wondering what he thinks about her, and speaking to him whenever there is an opening. When the two talk it’s to the exclusion of anyone else in the room. They open to each other in a way they don’t to anyone else. During some of their conversations they bare their selves, so much that it becomes uncomfortable to the other people around. No matter what Elizabeth says she never avoids Darcy. One time she wants to escape, after their last conversation at Netherfield, but even then she spends half an hour alone with him in silence. At Rosings she tells herself that her “accidental” meetings with him are unfortunate, and yet she goes again and again, knowing that they’ll meet. If it were Collins she’d avoid him at all cost, but it’s Darcy and she wants more. Her dislike of Caroline could be explained away, since Caroline didn’t like her either, but there’s no justification for her immediate dislike of Anne de Bourgh, even before she met the girl (no, there was no wind). We neither of us perform to strangers. Her attachment to Wickham is really nonexistent, because she never talks to him of anything other than Darcy. Even when she thinks of dancing with Wickham at the Netherfield ball, in the same breath she thinks of Darcy observing her dancing. Wickham is a poor substitute for the appreciation she needs from Darcy, and so his interest, even though flattering her vanity, is not enough to make her forget about the other. Naturally the other kinds of love are lacking, but that’s because Elizabeth puts up her defences. As she admits herself she is determined to hate him. Yet, if we look closer, they are not entirely nonexistent even in the early stage. When Lizzy defends Darcy against her mother she’s showing the phileo love. For this short conversation they become friends, and support one another in the unpleasant situation. When they argue their differences and discuss their acquaintances they do it like two friends as well. Lizzy doesn’t think she shouldn’t discuss Darcy’s aunt or her friend and cousin’s marriage with him, all in a very open manner. Even the Hunsford proposal is like a quarrel between two lovers. One isn’t so truthful or heated with strangers. Can you imagine Lizzy telling Collins what she really thinks of him? She doesn’t tell Wickham either. Moreover Lizzy esteems Darcy early on. She doesn’t approve of his character, but she’s impressed by his intellect. There is a kind of familiarity between them, typical for the storge love. When Lizzy listens to Darcy’s conversations with Caroline she recognises her own father’s conversations with her mother. Like at home she takes the position of audience and derives obvious pleasure from the performance. At the same time there is the kind of familiarity between them that allows her to always be frank with him, which demands trust and confidence. When Elizabeth chooses to tease Darcy it’s not to punish him, but to become closer to him. As Henry Tilney said nothing in the world advances intimacy so much as teasing, and Lizzy was well aware of it when she told Caroline: Teaze him — laugh at him. — Intimate as you are, you must know how it is to be done, and then went on to tease Darcy herself. At this point Lizzy wasn’t yet determined to hate him. As she’ll tell Darcy later I had not known you a month before I felt that you were the last man in the world whom I could ever be prevailed on to marry, which means that she did contemplate marriage to him at this early stage. The agape love was the most lacking, because as much as Lizzy wanted to derive her pleasure from her interactions with Darcy, she was afraid of becoming the source of his. She fears of his satirical eye. She may enjoy his rebukes to Caroline, but she wouldn’t like to become their victim. She’s far from willing to selflessly give herself to him. Yet she’s wrong when she tells him at the end of the novel I never spoke to you without rather wishing to give you pain than not. Actually whenever she thought she might give him pain she retreated. When she defended him against her mother that’s because she thought he was unduly attacked. Shouldn’t she be glad that her enemy is bullied? When Bingley laughed at Darcy’s awesomeness on Sundays Elizabeth checked her laugh, thinking he could be offended. Additionally she had problems believing the worst about him, even though it’s what she was determined to do. When Wickham told her his tale she exclaimed that she didn’t think Mr. Darcy so bad. When Colonel Fitzwilliam told her about Darcy’s share in separating Bingley from Jane she was shocked. Although she had suspected that he supported Caroline in that, she could never think so ill of him. Hunsford changed everything. Not only her eros, but all of her feelings turned towards him and intensified. Those were shame and lack of hope that kept her from falling in love with him without restraint, but she couldn’t help the developing feelings anyway. Those who think it significant that while touring Pemberley Lizzy visualises herself as the mistress of the place, should recall that yet at Rosings she imagined herself as Lady Catherine’s niece. Colonel Fitzwilliam and everything else was forgotten, for many days all she could think of was the letter, and she spent long solitary hours on learning its content by heart. Darcy was utmost in her thoughts when she was going to Derbyshire, and the most important object at Pemberley for her was Darcy’s portrait that she looked at with a serious contemplation: There was certainly at this moment, in Elizabeth’s mind, a more gentle sensation towards the original than she had ever felt in the height of their acquaintance. Her thoughts were all fixed on that one spot of Pemberley House, whichever it might be, where Mr. Darcy then was. She longed to know what at that moment was passing in his mind; in what manner he thought of her, and whether, in defiance of every thing, she was still dear to him. She can think of nothing else for the rest of the day. But it is on the next evening, after Darcy’s visit to Lambton with his sister, that Elizabeth is finally assured that, indeed, she is still dear to him, and for the first time allows herself to contemplate her own feelings for him. The earliest example of her strong eros comes soon after the letter. She sided with Darcy, and against Jane, when she decided not to mention Darcy’s interference in Bingley’s plans, and again when she defended Darcy from Wickham, or rather attacked Wickham for Darcy’s sake, before the regiment left Meryton. Here, however, we learn how much the other loves for him developed in her heart yet before her coming to Pemberley. It was his letter to her that created her respect for him, filling in the phileo love that wasn’t perfect before. Not his help to Lydia or Jane and Bingley, in short, not anything he could do for Elizabeth, but his character alone. and it was now heightened into somewhat of a friendlier nature by the testimony so highly in his favour, and bringing forward his disposition in so amiable a light, which yesterday had produced. That is the stroge love that now blooms freely, because Elizabeth is assured of his kindness and amiability. But above all, above respect and esteem, there was a motive within her of good will which could not be overlooked. It was gratitude. — Gratitude, not merely for having once loved her, but for loving her still well enough to forgive all the petulance and acrimony of her manner in rejecting him, and all the unjust accusations accompanying her rejection. He who, she had been persuaded, would avoid her as his greatest enemy, seemed, on this accidental meeting, most eager to preserve the acquaintance, and without any indelicate display of regard, or any peculiarity of manner, where their two selves only were concerned, was soliciting the good opinion of her friends, and bent on making her known to his sister. Such a change in a man of so much pride excited not only astonishment but gratitude — for to love, ardent love, it must be attributed; and as such, its impression on her was of a sort to be encouraged, as by no means unpleasing, though it could not be exactly defined. She respected, she esteemed, she was grateful to him; she felt a real interest in his welfare; and she only wanted to know how far she wished that welfare to depend upon herself, and how far it would be for the happiness of both that she should employ the power, which her fancy told her she still possessed, of bringing on the renewal of his addresses. It is his agape love that moves her so much, and when she wonders whether she can love him in return, it’s her agape love for him that she wants to determine (how far she wished his welfare depended on her). It is not enough to be in love (eros), to befriend and esteem (phileo), or to find the other amiable (storge). In order to marry she must be sure that she can offer him the agape kind of love, because without that no marriage would be complete. She must know whether she feels ready to selflessly offer herself to him. It is two chapters later (chapter 46) that Elizabeth has her answer. When Darcy calls on her after she has just finished reading Jane’s letters about Lydia’s elopement, Elizabeth shows strong signs of all the four loves already united in her heart. Eros – her display of immediate intimacy, phileo – her looking to him as her friend, storge – her unrestrained tears in front of him, and agape – her inability to blame him for abandoning her. Elizabeth soon observed and instantly understood it. Her power was sinking; every thing must sink under such a proof of family weakness, such an assurance of the deepest disgrace. She should neither wonder nor condemn, but the belief of his self-conquest brought nothing consolatory to her bosom, afforded no palliation of her distress. It was, on the contrary, exactly calculated to make her understand her own wishes; and never had she so honestly felt that she could have loved him, as now, when all love must be vain. When her aunt says And are they upon such terms as for her to disclose the real truth! we can see the full irony of Elizabeth and Darcy’s relationship. They are not engaged, as her aunt assumes, but they have long been, unofficially, upon such terms as for her or him to disclose the real truth. Even at Hunsford they held nothing from the other. If earlier we could have wondered whether Elizabeth could love Darcy with all of her heart, now Austen leaves us no doubt. 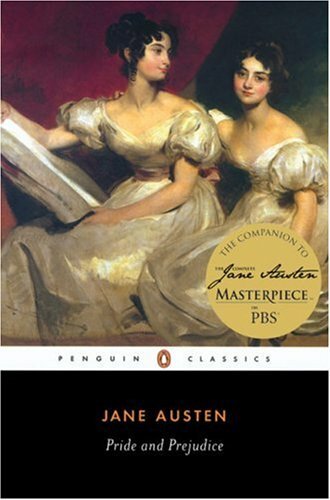 To Austen this love is deep, as opposed to infatuation. One more proof that Lizzy was never really attached to Wickham, over whom she felt no regret at all. Elizabeth, who was by this time tolerably well acquainted with her own feelings, was perfectly aware that, had she known nothing of Darcy, she could have borne the dread of Lydia’s infamy somewhat better. It would have spared her, she thought, one sleepless night out of two. In chapter 50, when Elizabeth is finally assured that Lydia will marry, she has a chance to think of her feelings for Darcy in a more thorough manner once again. She regrets having told him about Lydia. Not because she’s in doubt of his secrecy, but because there was no one whose knowledge of a sister’s frailty would have mortified her so much. She doesn’t want him to think bad of her, even though she knows that she could never expect that he’d marry into Wickham’s family. And, naturally, she yearns for him. She was humbled, she was grieved; she repented, though she hardly knew of what. She became jealous of his esteem, when she could no longer hope to be benefited by it. She wanted to hear of him, when there seemed the least chance of gaining intelligence. She was convinced that she could have been happy with him, when it was no longer likely they should meet. As clearly shown she’s as willing to marry him as she could ever be two chapters before learning about his help to Lydia. Naturally his help could not be unfelt by Elizabeth, but it cannot promote her love for him or her wishes to marry him any further than what she already feels. Even if one might argue that when Elizabeth protests against the notion of being interested in Darcy in the first and second volumes she means it, in the third it can be clearly observed that the more she cares the more she’s resolved to claim that she does not. After Darcy’s first arrival in Longbourn she exclaims Teazing, teazing, man! I will think no more about him. Elizabeth thinks all of the above while yearning for his love, feeling pain on his behalf whenever he’s mistreated by her mother, and praying for a meeting or at least a short conversation. How then should this early scene from Netherfield be understood? Elizabeth could not help observing, as she turned over some music books that lay on the instrument, how frequently Mr. Darcy’s eyes were fixed on her. She hardly knew how to suppose that she could be an object of admiration to so great man; and yet that he should look at her because he disliked her was still more strange. She could only imagine however, at last, that she drew his notice because there was a something about her more wrong and reprehensible, according to his ideas of right, than in any other person present. The supposition did not pain her. She liked him too little to care for his approbation. So she did like him. Is Lizzy right or Austen is being ironic in this Lizzy’s speech from the end of the novel? Darcy, wisely, doesn’t commit to an answer, and only compliments her on her goodness to Jane. Lizzy did, like the other women, look for his approbation, but she went about it differently. While Miss Bingley blindly repeated whatever he said, in the hope of convincing him that they’re always of one mind, Lizzy wanted to obtain his real approbation, based on her true self. She wanted him to see her and appreciate her the way she was, and she quite succeeded in that. May I have your name? I cant find it. Hi Julia, I’ll email you.